I have been writing and scrapping posts all day and then it hit me, mid sentence, write about the McGuffn, the nothing that moves a story or movie along. 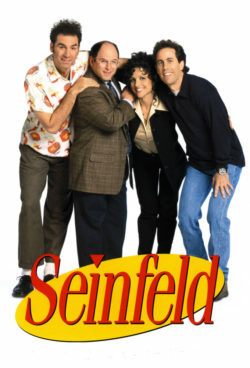 Best example of a McGuffin is Seinfeld – a whole show dedicated to nothingness. So what is the McGuffin? The McGuffin is a powerful piece of nothingness or hook that drives the story forward and keeps the viewer engrossed and pinning for the outcome, only to be diverged and thrown on another path. In other words it is a plot device that leads nowhere. In my book Phantasma, I use a seedy character named Tom as the McGuffin. 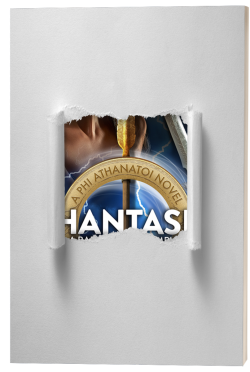 He is the nothing I created to lead the heroine to the ‘call to action.’ Everything about him is left un-answered, intentionally. As I mentioned above, Seinfeld was nothing but a BIG McGuffin. I think the creators of this show were very clever indeed and knew exactly what they were doing and how to hook an audience. Artistically, they introduced the McGuffin that drove the show forward and then veered in another direction, by dropping the McGuffin without the audience even realising. Hitchcock coined the term McGuffin and was a master in using it. 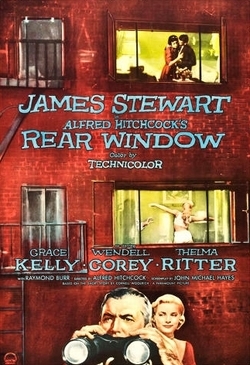 He enticed viewers and drew them in, a good example is ‘Rear Window,’ and the question of what is buried in the garden? We never find out because it’s the McGuffin that keeps the audience pinned until it’s dropped. At some point in all suspense, thrillers, and comedies the McGuffin becomes the insignificant factor and is all but forgotten, allowing the first and second acts to build to the climatic crescendo of the third act. Hitchcock was also talented in drawing out the McGuffin, in order for the third and final act to carry more impact. I like this idea because the audience leaves the movie with the final climax still in mind, and with it, all the makings of a successful, suspenseful and memorable film. I hope you all enjoyed this little bit of nothingness.